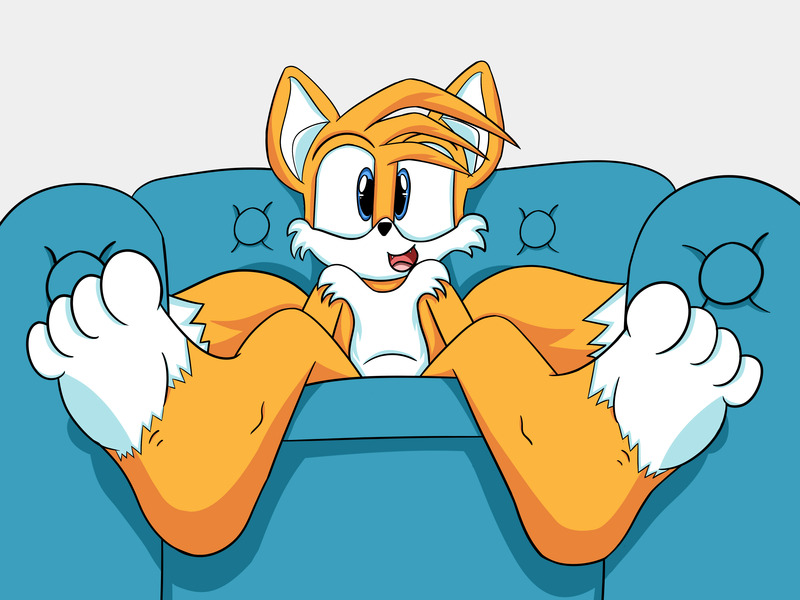 So someone commented on one of my drawings that they like the way i drew tails feet, well i have no clue if they like feet in this way but the comment gave me the idea to draw this. So, I have actually been wanting to do some feet related stuff with tails for a while now but the problem is, its not easy drawing feet like this >.< It requires quite a lot of understanding of perspective that i just dont have. If this doesnt look as good as most my draws thats becasue it was something quick i did for fun before i start drawing some requests. Until next time this is FoxKai Signing off. I like it down here. Any view of Tails is a good view! Any view is fine, especially this one!